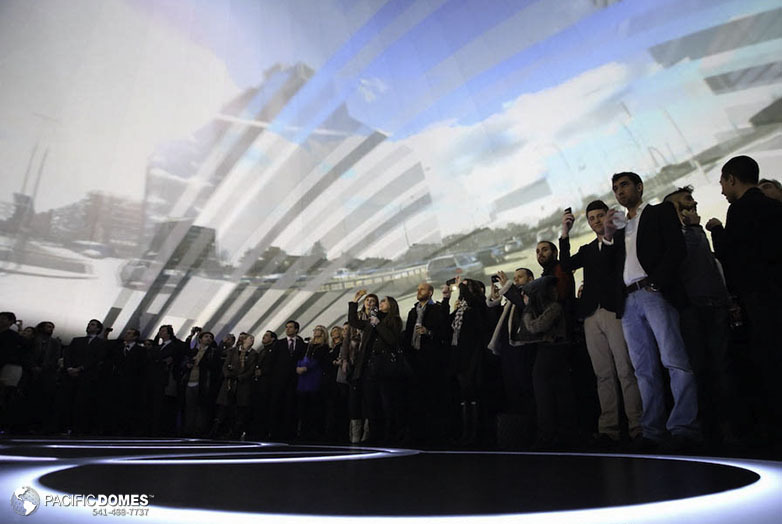 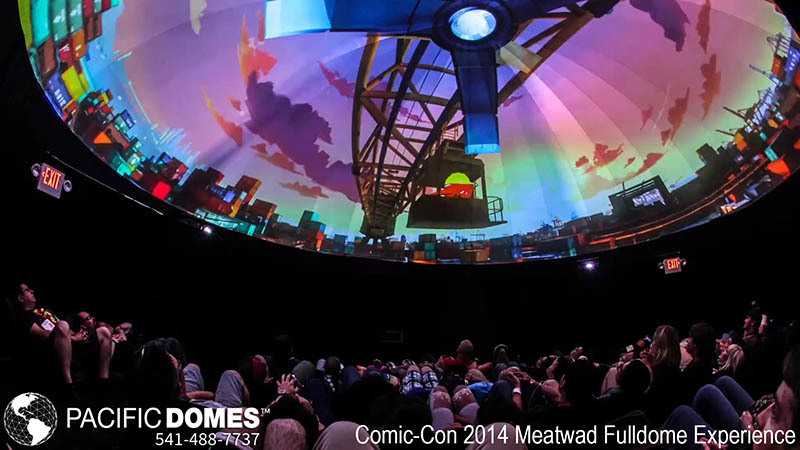 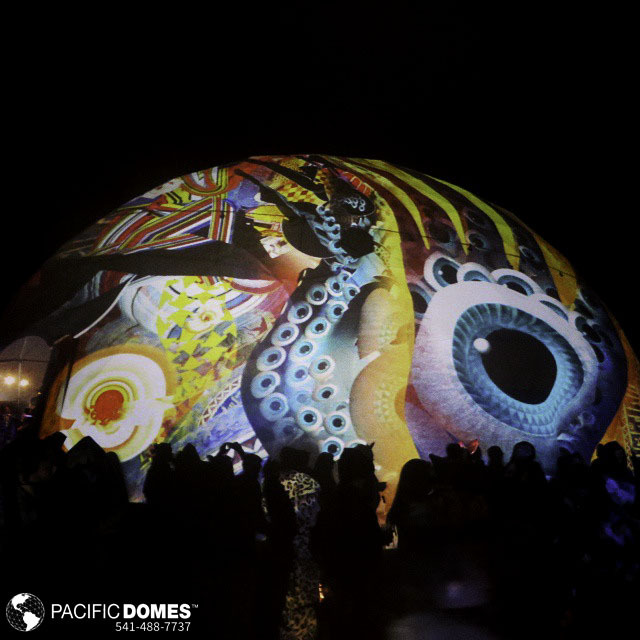 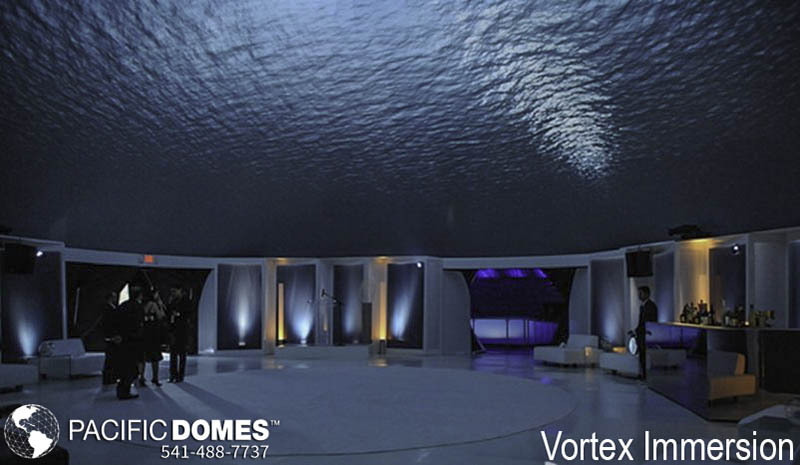 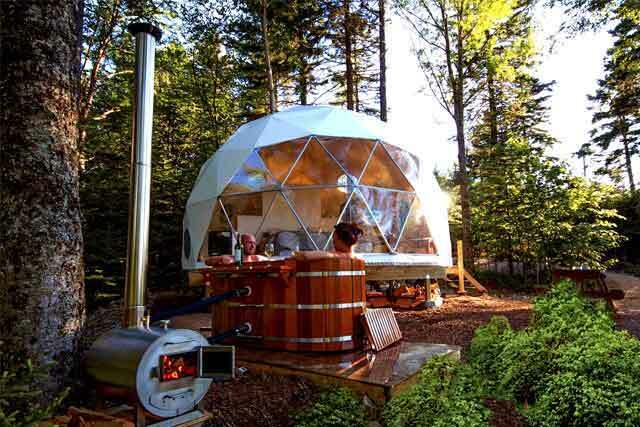 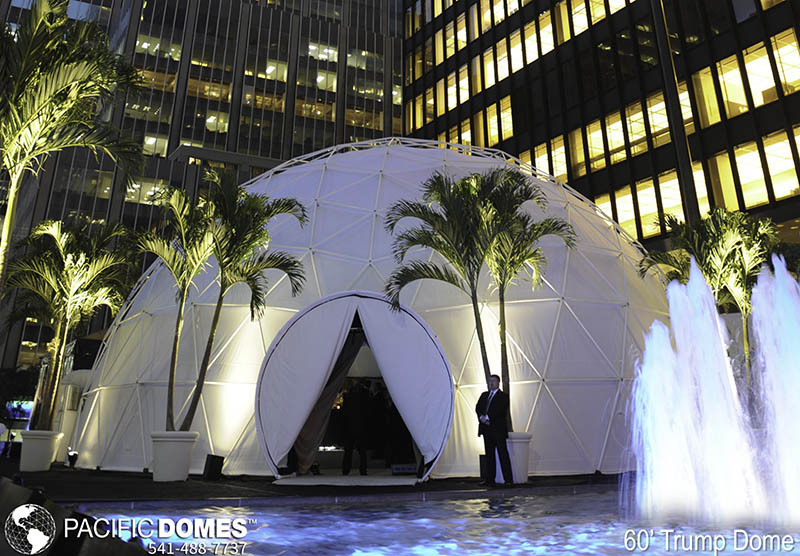 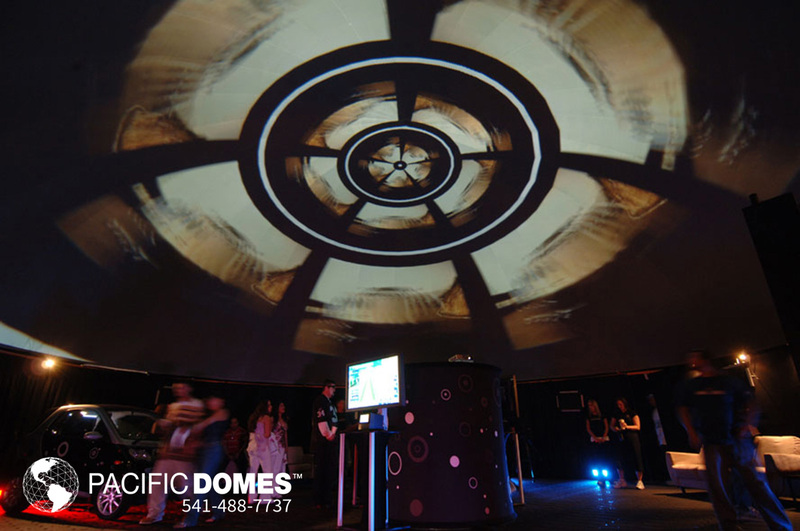 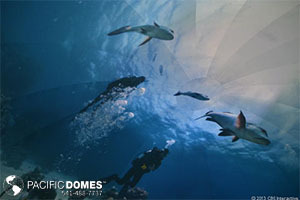 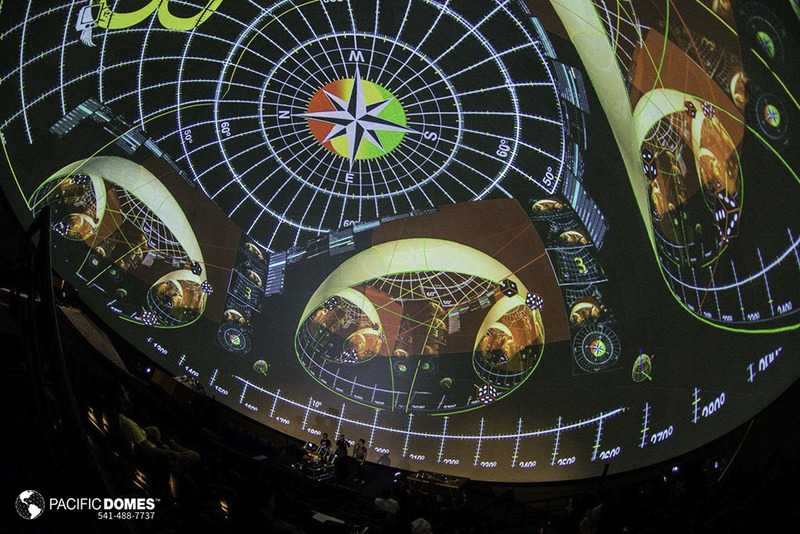 Projection Domes: The Pacific Domes Projection Dome is a 360° fully immersive viewing environment. 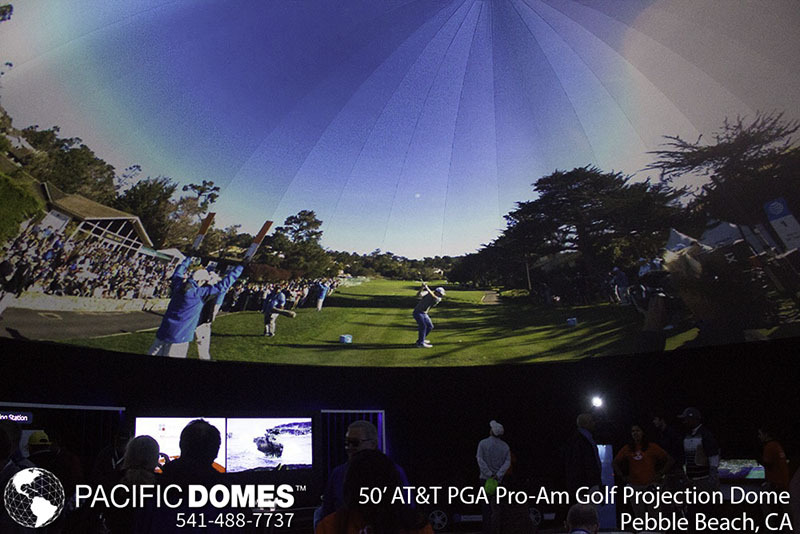 Our patented negative air pressure projection lining system is the perfect platform for state of the art 360° surround projection. 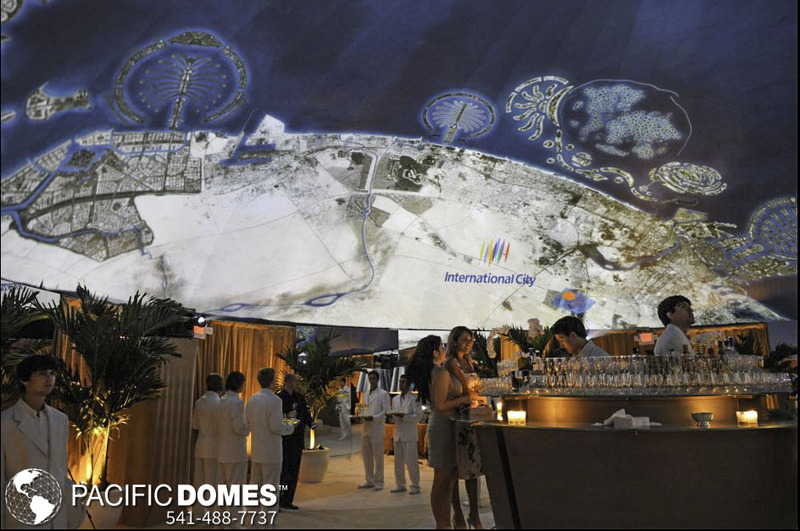 Our sister company Obscura Digital are experts in creating multimedia surround projection technology. 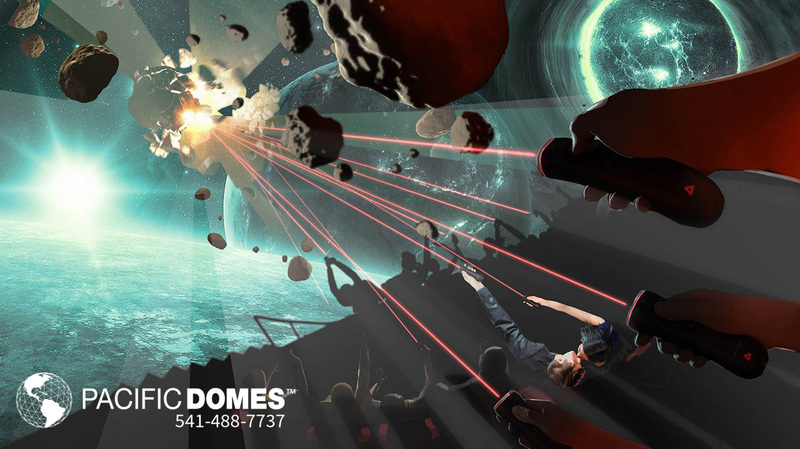 Together, we create multi-sensory, interactive learning and entertainment experiences for large scale group immersive environments. 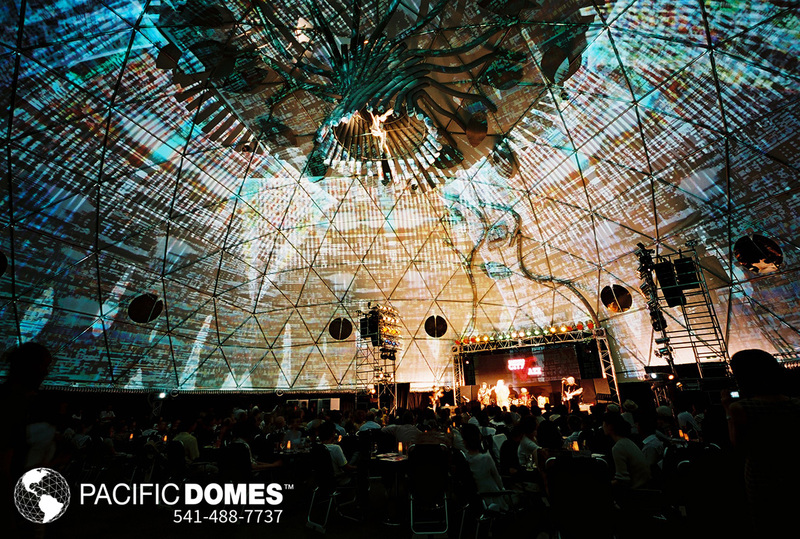 Lighting trusses can be suspended from the frame for concerts, theater and opera. 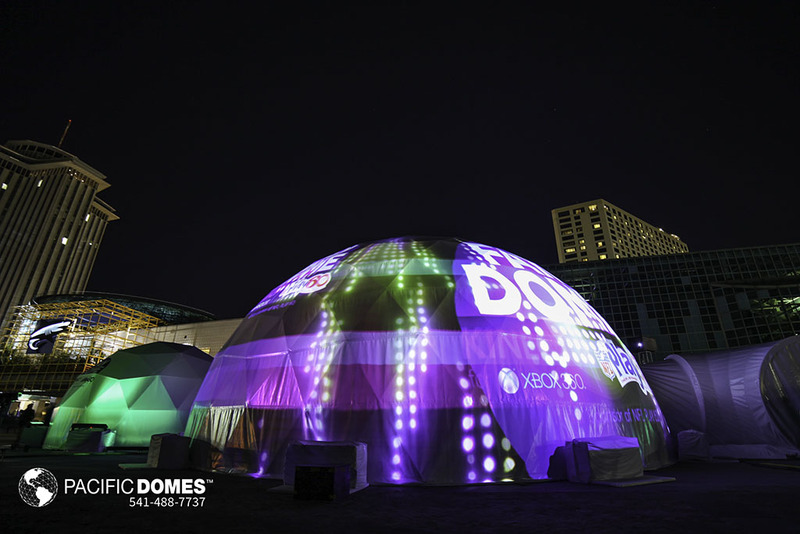 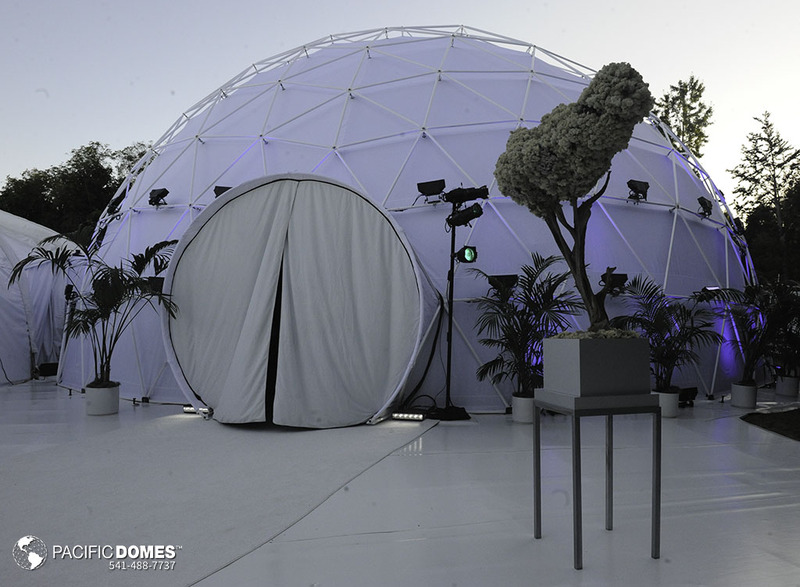 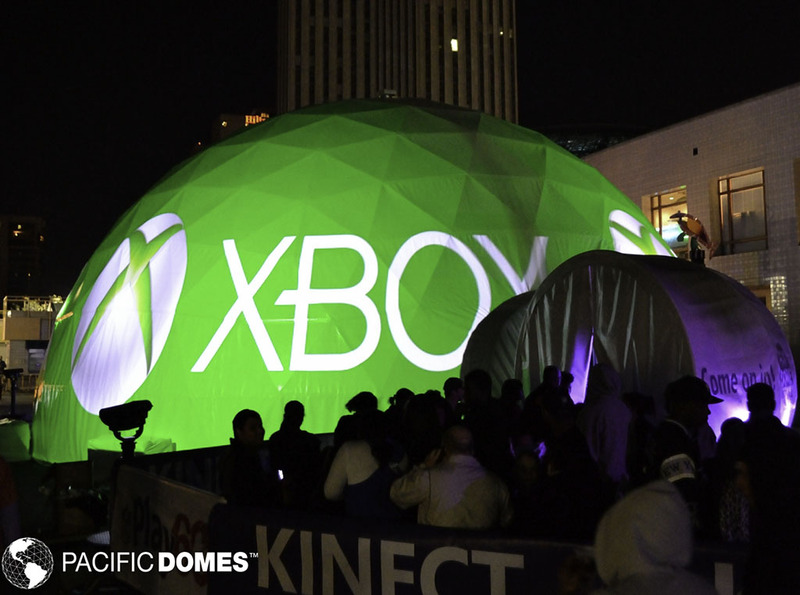 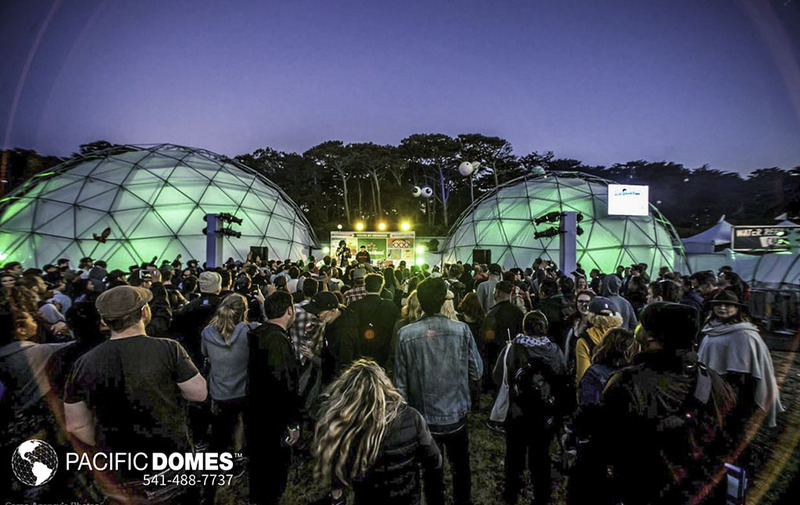 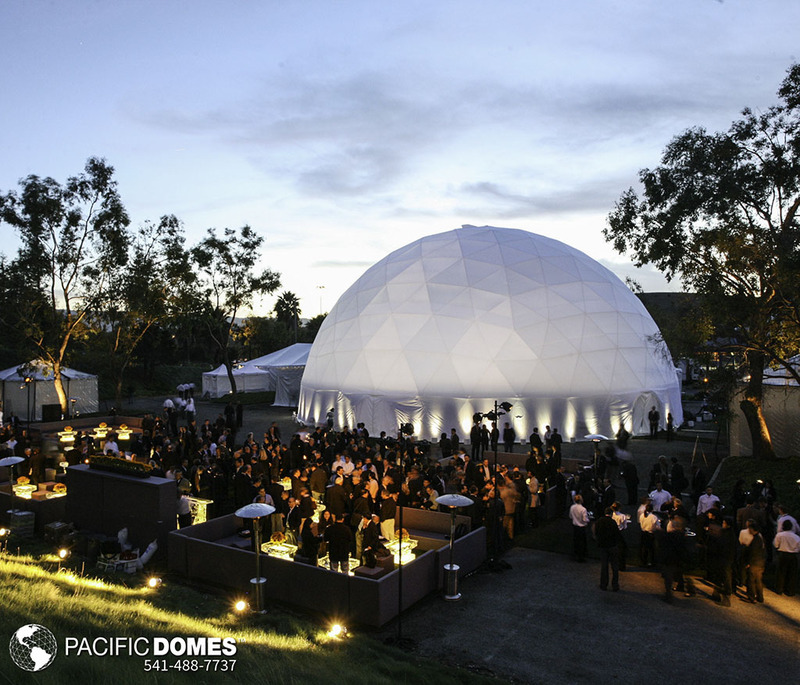 Pacific Domes offers a center stage for your performers and full event lighting and sound solutions. 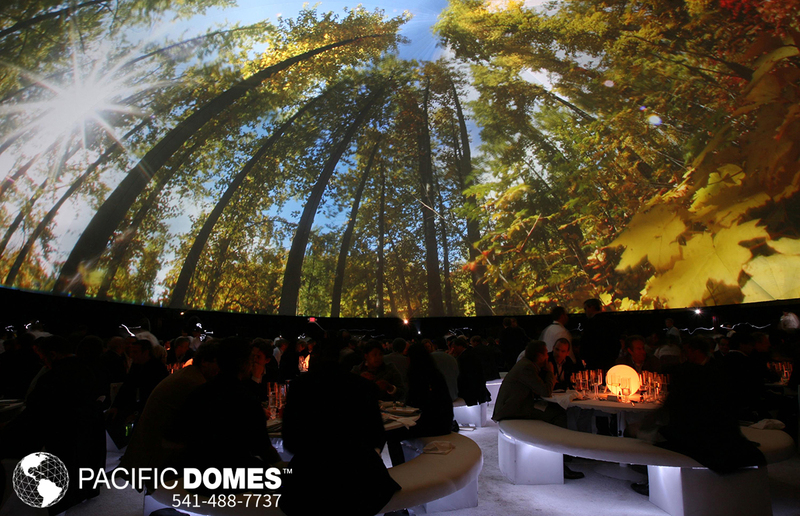 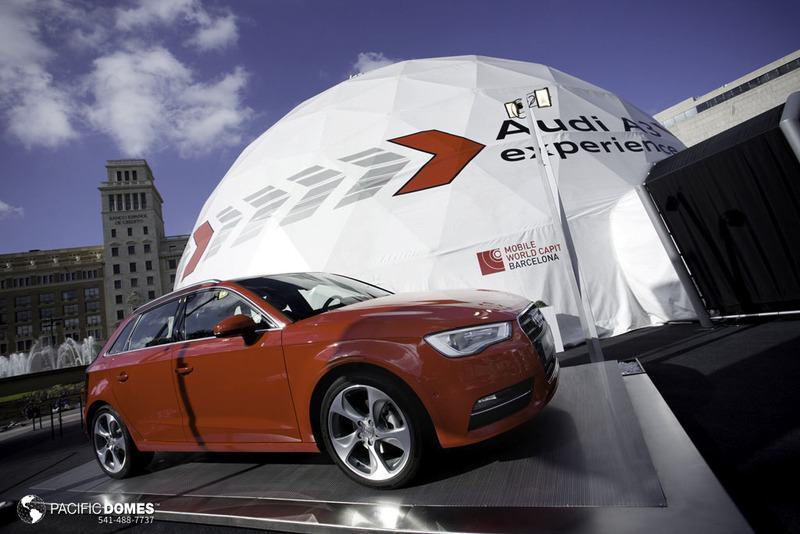 Our Projection domes are also perfect for use as portable or permanent Planetariums.